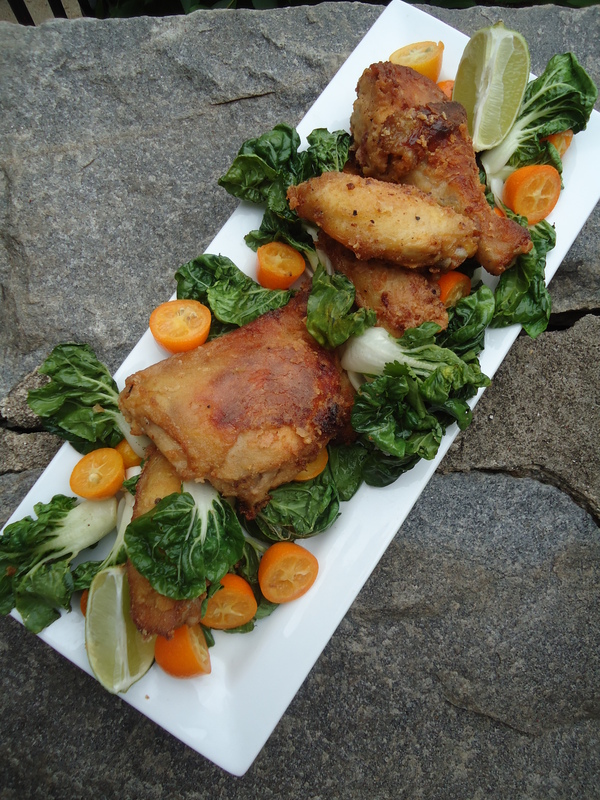 Sriracha, fish sauce and rice vinegar combine in this nice Asian-inspired twist on classic crispy fried chicken. I like to serve this dish family style, on top of a baby bok choy and kumquat salad with limes. In a large bowl, whisk together the oil, fish sauce, brown sugar, rice vinegar and Sriracha. Rinse the chicken and pat dry. Add the chicken to the marinade and gently toss to coat. Marinate for at least 1 hour. In large bowl, add the rice flour. Dredge the chicken with a coat of rice flour, shaking off any excess. Set coated chicken pieces aside. Repeat for the remaining chicken. Heat 1 inch of oil to 375°F in a large cast iron skillet or a Dutch oven. Working in small batches, gently place the chicken into the hot oil and fry on both sides until crispy and cooked through, 10 to 15 minutes on each side. Drain on paper towels. To serve place on a platter and serve immediately. In a small saucepan, melt the butter. Whisk in the miso, Sriracha and lemon juice. Reserve 1/4 cup of the miso butter for serving. Light a grill. In a large bowl, toss the scallions with the oil and season with salt and pepper. Grill over moderate heat, turning, until lightly charred and tender, 5 minutes. Chop the scallions and toss with 1 tablespoon of the miso butter. Skewer the lobster bodies from the tail to the head to keep them straight. Brush the lobster meat with 2 tablespoons of the miso-chile butter. 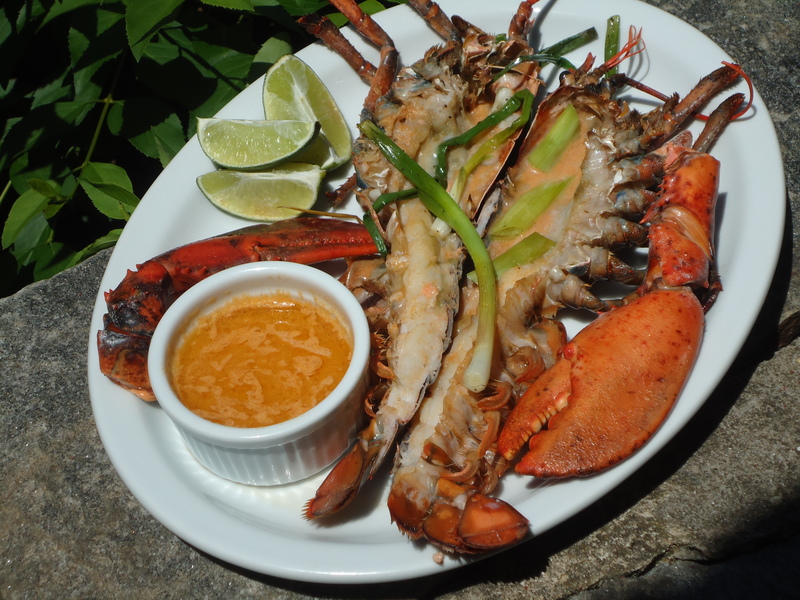 Grill the lobster bodies and claws over moderate heat, turning and basting the meat with the remaining miso butter, until the shells are bright red, 7 to 8 minutes for the tails and 12 to 15 minutes for the claws. Remove the skewers. Arrange the lobsters on a platter or plates and scatter the scallions on top. Serve with lemon wedges and the reserved 1/4 cup of miso butter.